A previous post taken in the Sultan's Garden can be seen here. 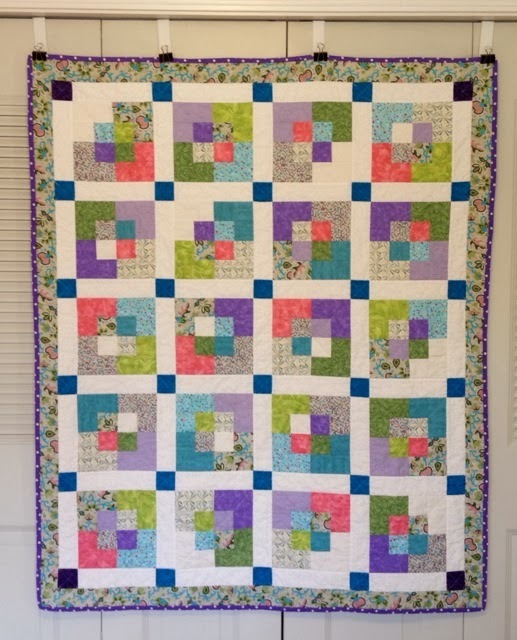 It's been almost three years since I finished the Jack and Jill quilt top. For three years it marinated in a plastic bag in my sewing room, waiting for me to purchase a walking foot for my Bernina machine so I could machine quilt it. I finally purchased the walking foot in December. 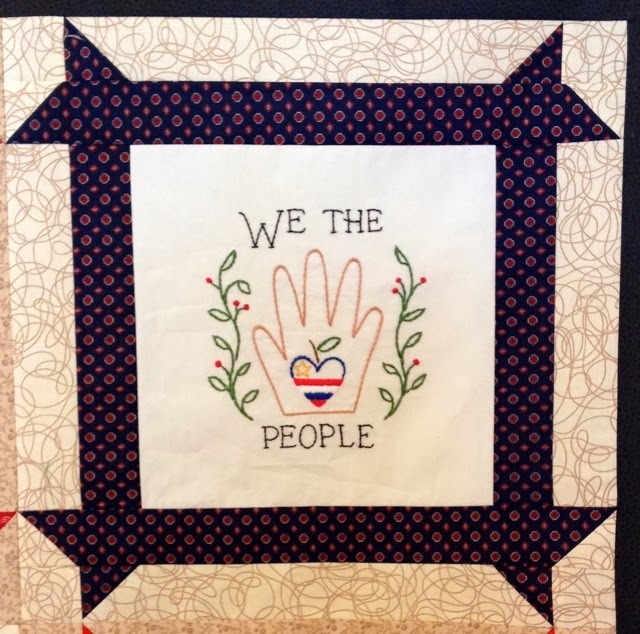 After man-handling this small quilt around in my limited sewing space, I have admiration for those who use their sewing machine to quilt full-sized quilts. Just Because I Can. 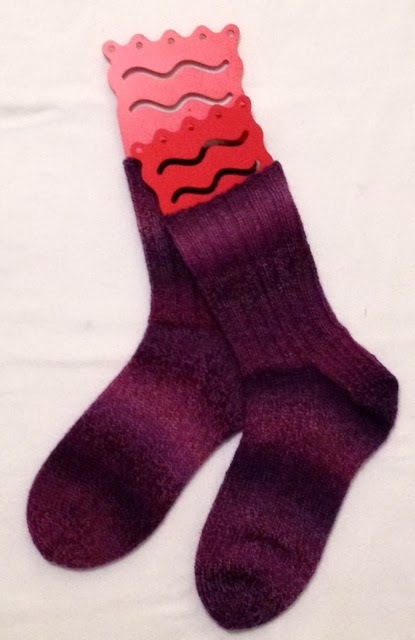 . .
February 3, 2014, I wrote about my hand-knit socks and was struck by two of the comments that were written that day. Both ladies are frequent readers who leave comments. 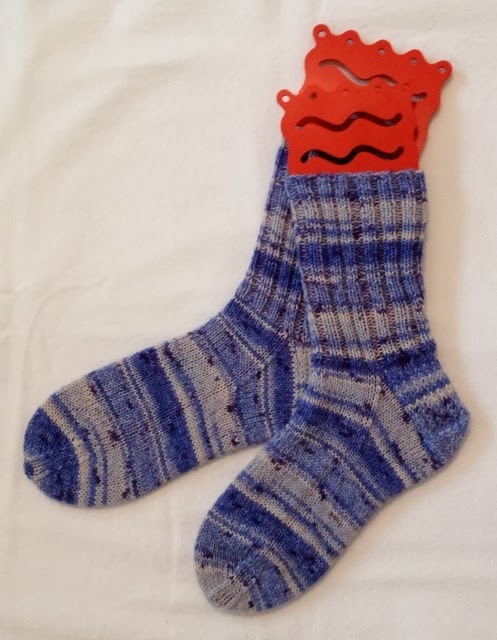 To show my appreciation, I decided that they each needed a pair of hand-knit socks. Click on Connie and Ann's names below to see the reactions to their hand-knit socks. Ladies, I hope you enjoy wearing your socks. Ann sitting by the fire in her socks. My mother did not get an automatic washer in the farmhouse until the late 1960s. 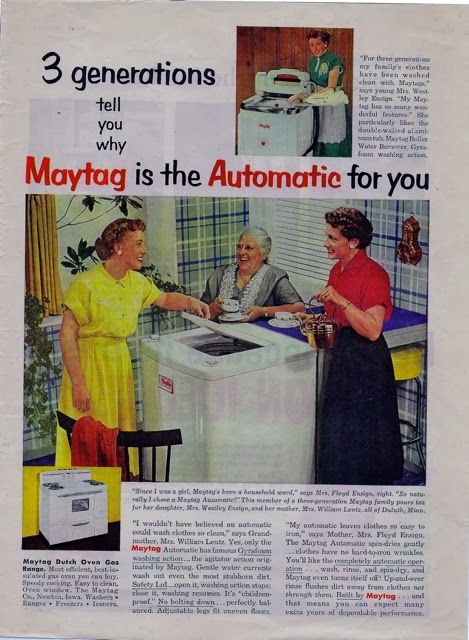 Until that time, she used a wringer washing machine, not a Magtag, but similar to the one pictured at the top of the advertisement. The washer was kept in a corner of the porch and rolled out on laundry day. A small bench was placed behind the washer. A large copper boiler for the rinse water sat on this bench. Hot water (boiled on the stove) for the washer and copper boiler were hauled from the kitchen to the porch. The clothes were sorted and piled on the kitchen floor in the order they would be washed. Sheets, whites, colors, and finally coveralls and jeans. The washer had a lever on the side that started the agitator. When the clothes were clean, they were "fished" out of the washer, run through the wringer and then placed in the hot water of the copper boiler for rinsing. Then the clothes were run through the wringer once more and taken outside to be hung on the clothesline, even in the Winter. In Winter the clothes would freeze and at the end of the day were brought into the house and draped over chairs until they thawed. Sometimes, the frozen jeans actually stood by themselves, until they thawed. The washer had a hose on the side that which allowed the water in the tub to be pumped out. Some days, the water in the tub was changed once or twice, depending on how dirty the clothes were that particular day. Getting an automatic washer and dryer made laundry day a lot less work. Do you have special memories of laundry day? 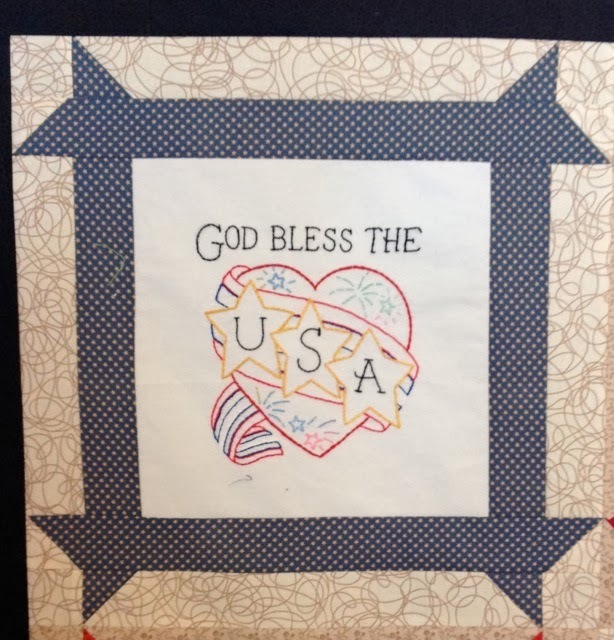 My friend, Sue O. embroidered and gave me ten patriotic blocks to use in a Quilt of Valor. 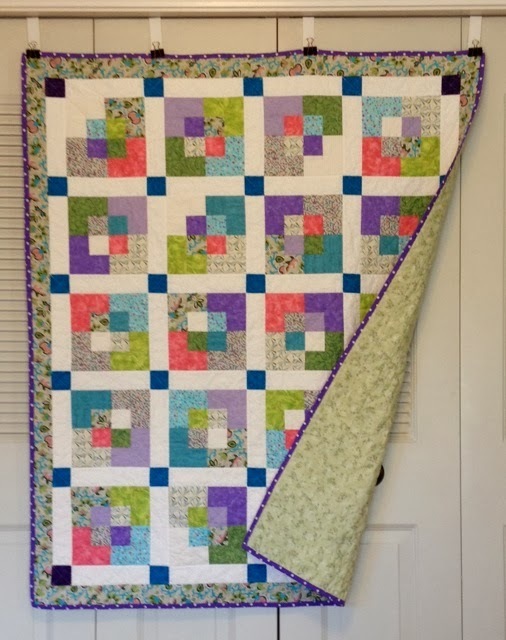 I divided the blocks into two sets in order to make two quilts. 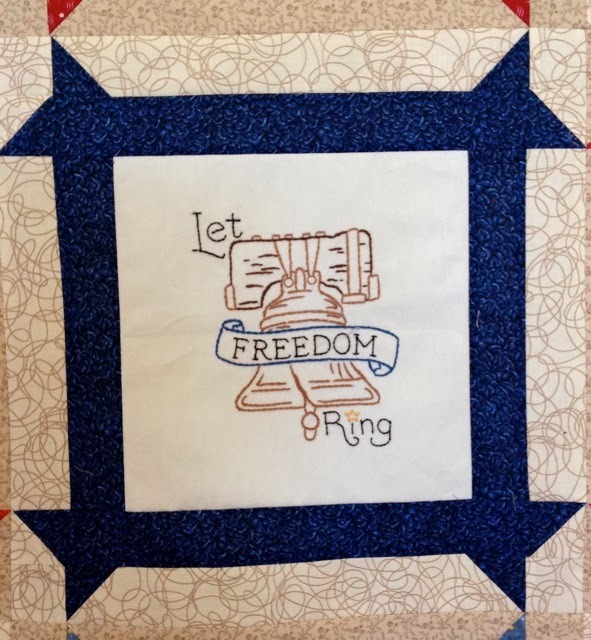 The first set of blocks were used to make Home of the Brave, and the second set was used to make Let Freedom Ring. 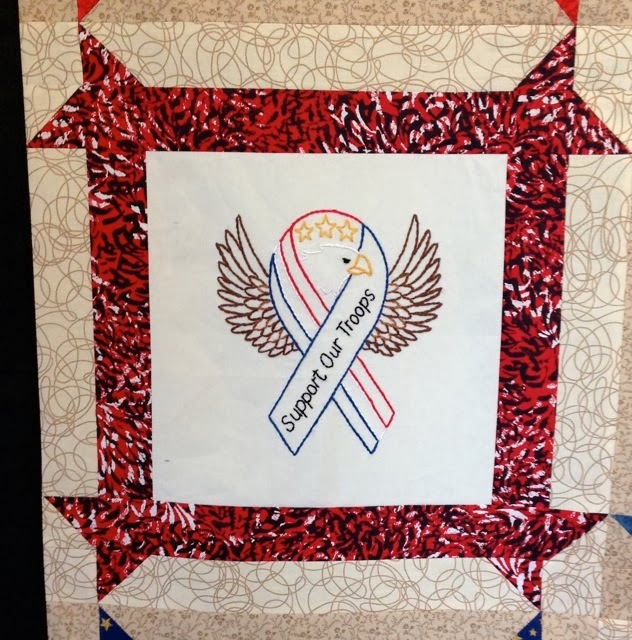 Thank you, Sue for making this Quilt of Valor possible. Our tour stopped by an outdoor market after it was closed and the shopkeepers were cleaning. 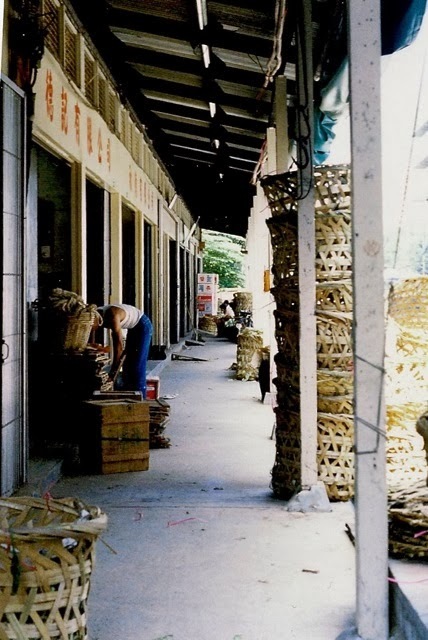 I loved the large baskets that were used to hold and display produce. In the top drawer of a five-drawer chest in my Mother's bedroom was a pink envelope, and tucked inside that envelope were golden curls, flattened by the weight of the drawer's other contents. The curls were something that she treasured - the curls of her second-born son, Richard. I never did discover why Rich had long hair as a child because my oldest brother did not have long hair. Rich's hair turned from gold to dark brown as he aged. I wish I knew what happened to the pink envelope and the golden curls that had been treasured so dearly by my Mother for years. 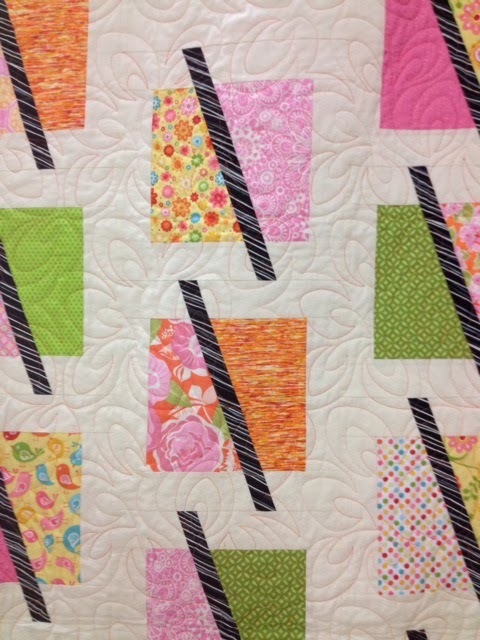 This quilt was simply FUN, and the black fabric perfectly resembles licorice sticks! Note the crayon quilt on the left. 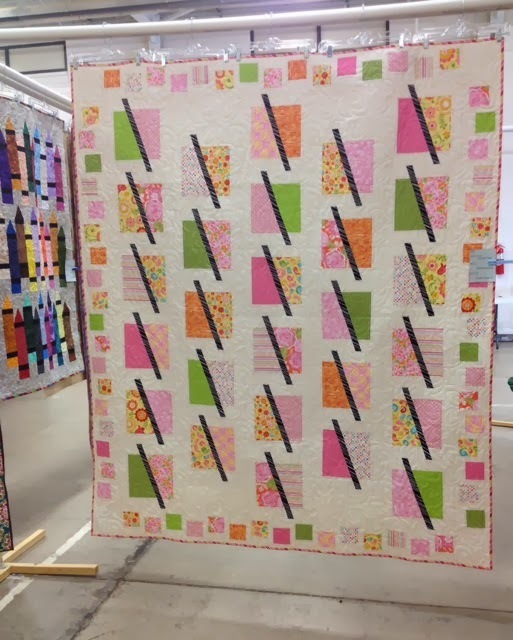 It was another fun quilt in the Winter Quilt Show. 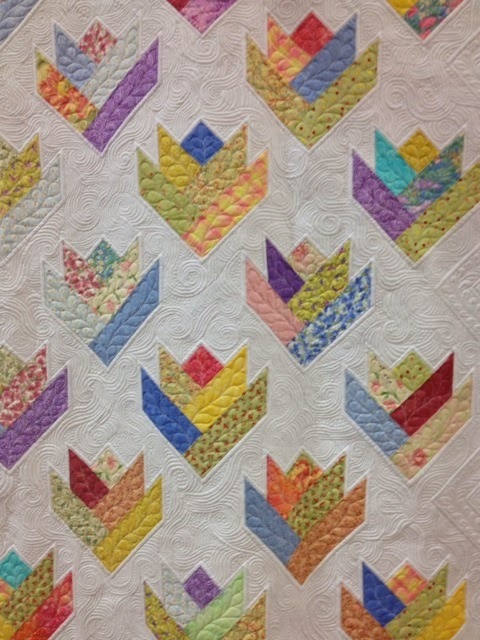 The star of the Winter Quilt show (in my opinion) was this beauty. Come closer. 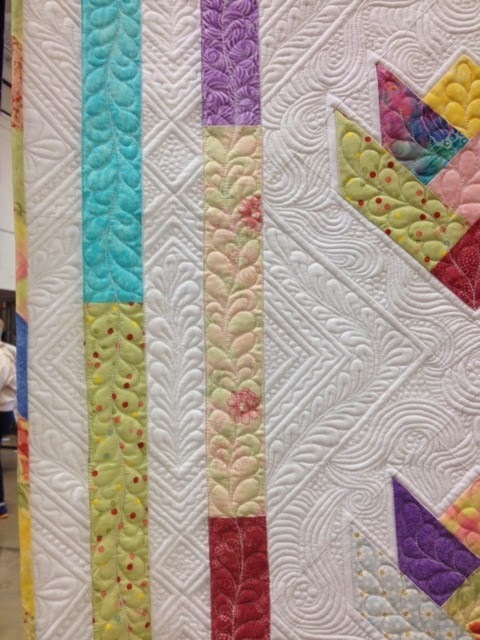 . .
Look at all that gorgeous quilting detail. 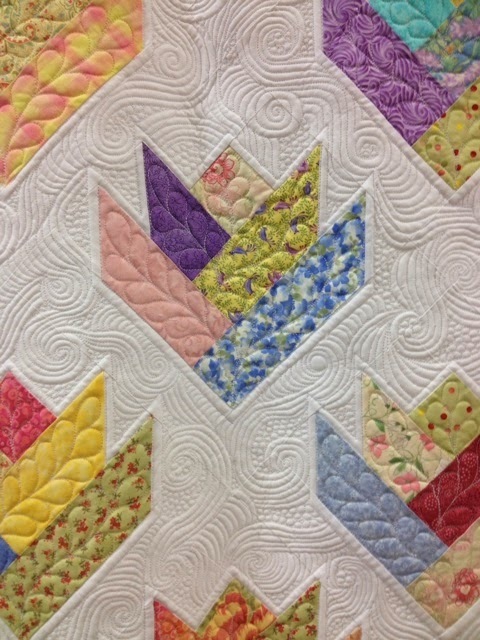 The dimensional quilting was extended to the border. 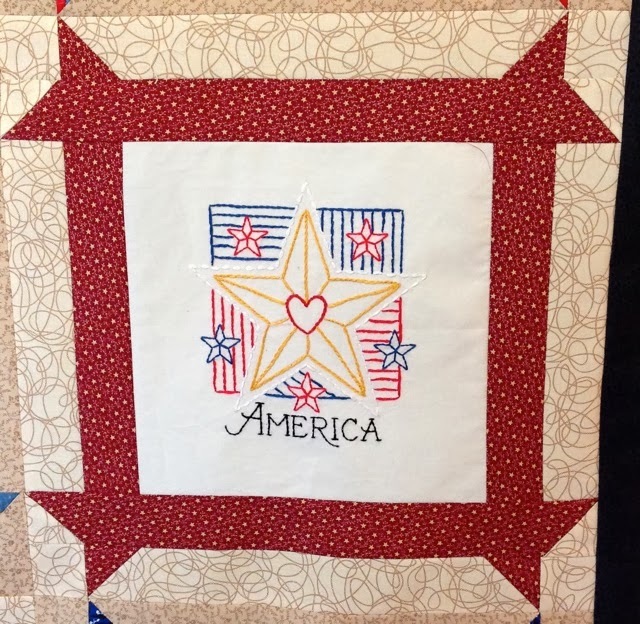 I cannot imagine the time it took to quilt this beauty. It was a show stopper, and I sincerely hope it won the People's Choice Award. Another surprise package recently arrived in my mailbox. Several weeks ago, I requested some of these crochet hot pads from my oldest sister, but the wild rice at the bottom of the box was a complete surprise. 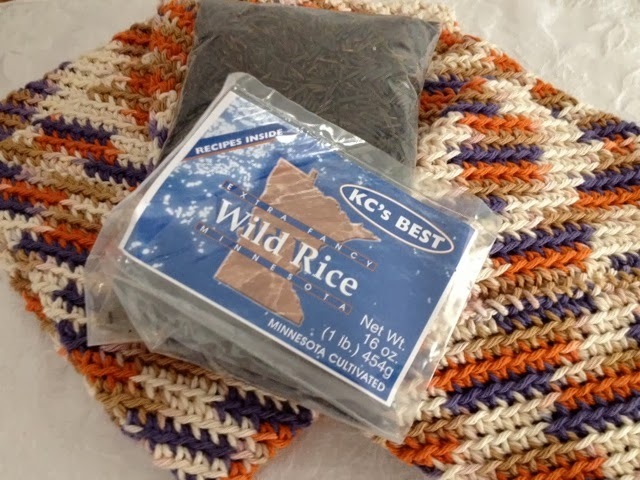 I love mixing the wild rice with brown and white rice in soups and in baked dishes. The nutty flavor is delicious. Do you like wild rice? What is your favorite way to eat it? 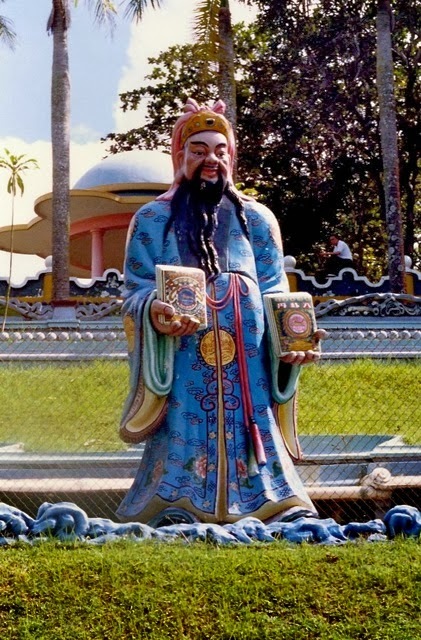 Tiger Balm Garden was basically a site with statues and dioramas advertising Tiger Balm. 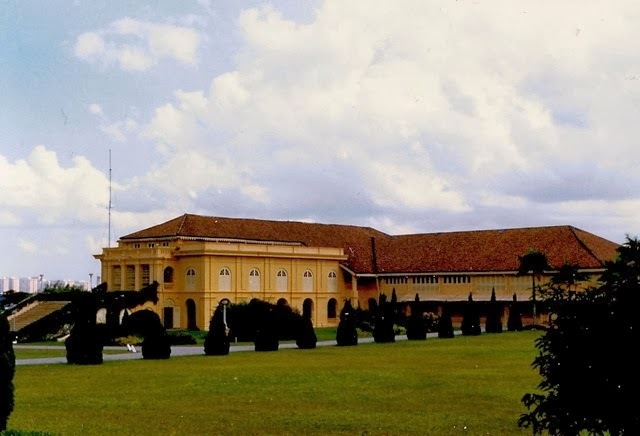 You can read the history of the garden here. "Success depends upon previous preparation, and without such preparation there is sure to be failure." "When it is obvious that the goals cannot be reached, don't adjust the goals, adjust the action steps." Can you name other phrases that have recently become obsolute? A couple of weeks ago, I came out of Smiths Grocery and found the scene shown above. I knew exactly how this woman felt about not being able to get into her car. You might remember that this happened to me last year and nearly in the same area of the same parking lot. The woman in the photo obviously called the police. The driver of the white SUV was located in the store and asked to move her vehicle. Ironically, she pulled through and parked in the space in front of her. 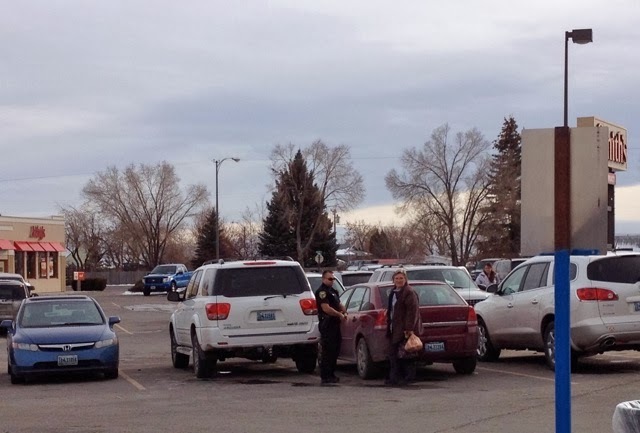 She didn't even attempt to center her vehicle in the parking space and parked on the yellow line again. Since my experience, I have learned to find a space that allows me to drive out rather than back out. 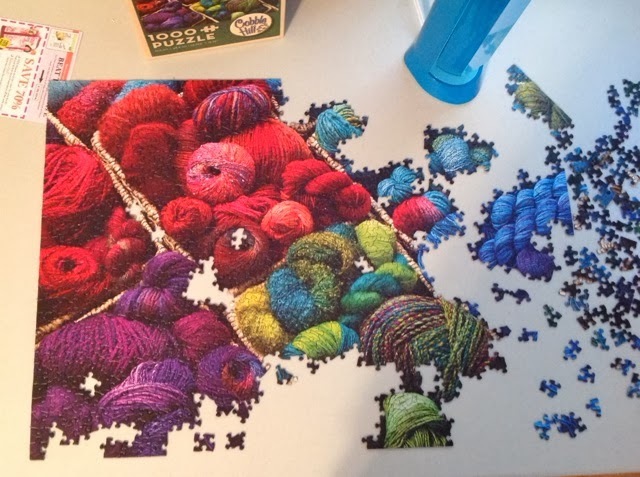 gradually added the purple and green pieces, and finally worked on the blue section. 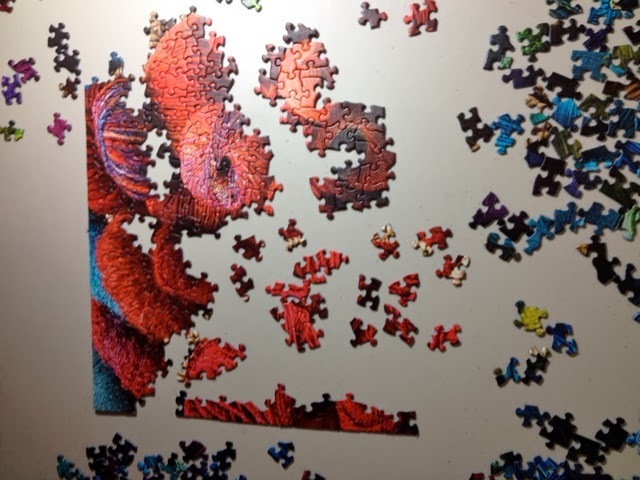 As you can see, the border pieces continued to elude me. Success was achieved - one piece at a time. 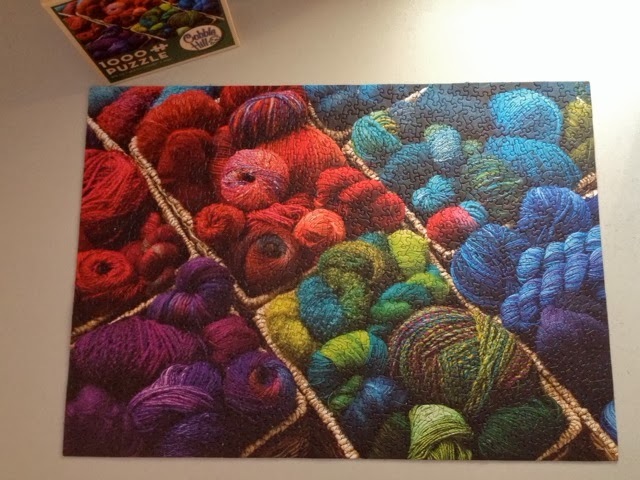 Look at all the gorgeous fiber in this puzzle! My mailbox has contained one or more surprise packages for two weeks, and I love it. 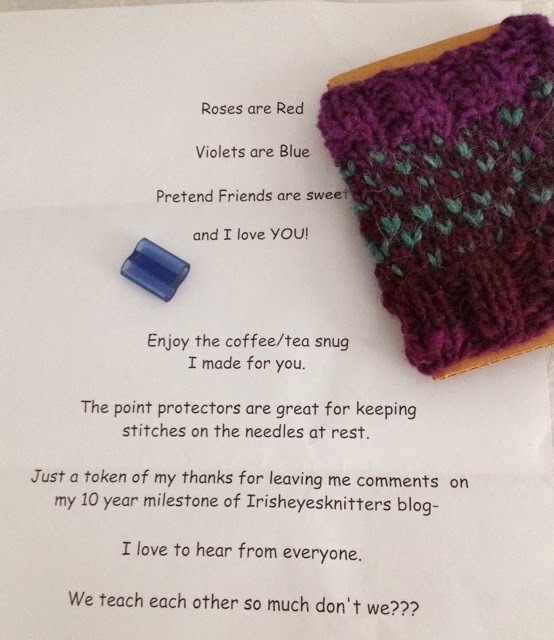 Kathy b's package was a Cup Snug and a needle guard to celebrate the 10 year anniversary of Irisheyesknitter or Kathyb's Yarn Garden. Thank you, Kathyb for this wonderful gift and congratulations on 10 years of blogging. 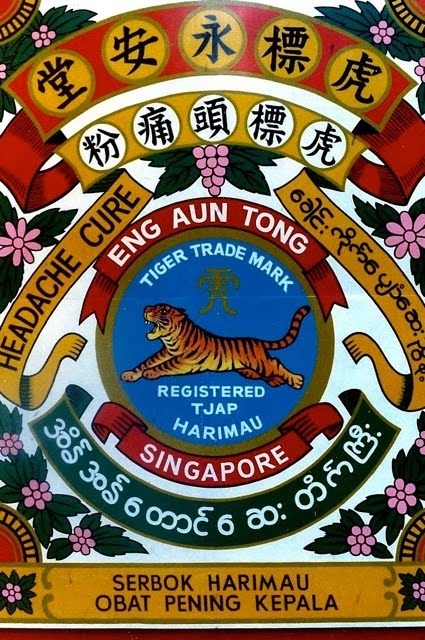 Before my trip to Singapore in 1979, I had never heard of Tiger Balm. Have you heard of Tiger Balm or even tried it? Uncle Ed was my dad's brother, and even though I didn't know him well, I liked him because he had my dad's smile. 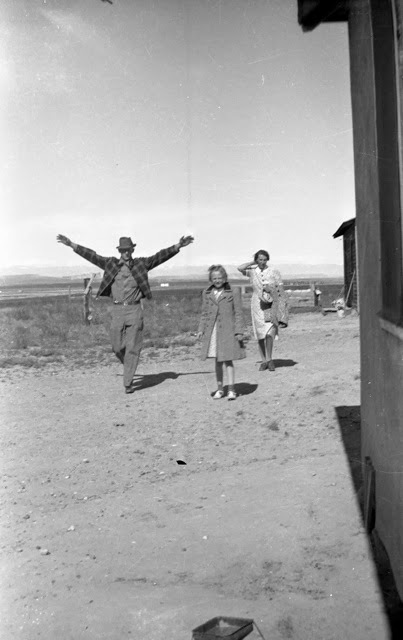 My father and his oldest brother, Ted moved to Wyoming's Wind River Valley, drawn by the prospect of irrigated farmland. Their siblings (Ed, Sadie, and Charlie) stayed in South Dakota, and all were involved with agriculture. Ed worked the family farm and remained there until his death. His son, continued to farm the land, as did his son; thus, my grandfather's land has been farmed by family members for over 100 years. Earlier posts about this farm can be found here. 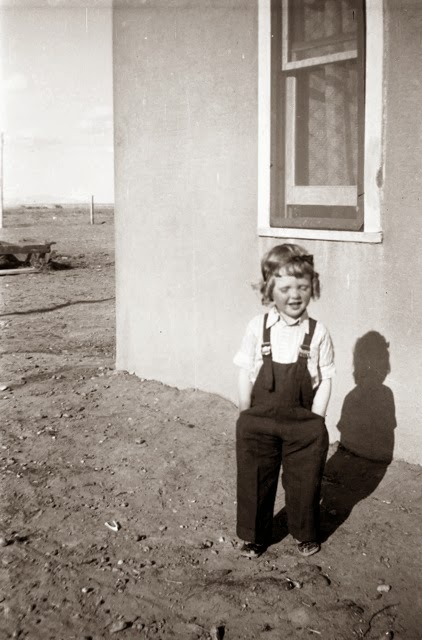 I've read Connie's blogs (Far Side of Fifty and Far Side of Fifty Photos and Forgotten Old Photos) for quite a while, and we have become online friends. 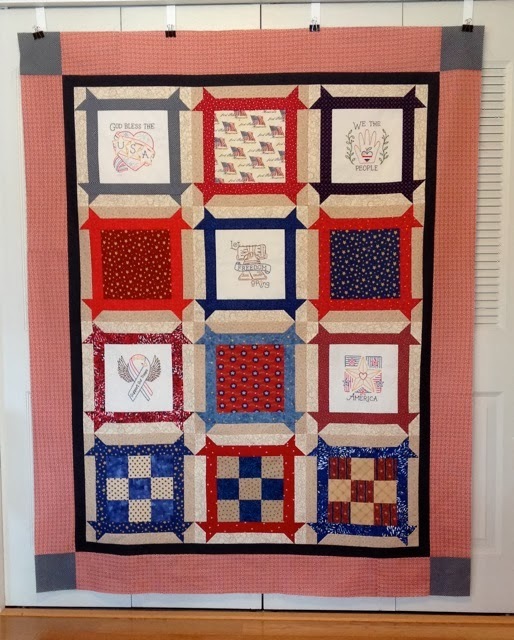 Connie sent blocks two years ago that I used to make a Quilt of Valor - Love from the Heartland. 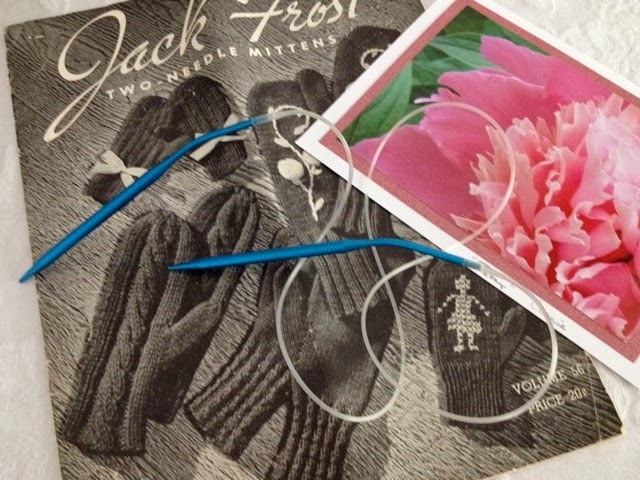 Last week, another package arrived from Connie - inside was a circular needle and a vintage knitting booklet. Connie explained that she has been cleaning closets and finding homes for some of her unwanted crafting supplies. I'll use the circular needle to start an Oddball Baby Blanket once I straighten the cable by immersing it in a hot water bath. The cable is twisted from being stored, but the hot water will make the plastic relax. The mitten patterns are tempting me to cast on a pair or two. Thanks, Connie for being so thoughtful.